The world, as we know it today, is ruled by hashtags and tweets, reposts and tags. So, unless you have been living under a rock, there is absolutely no way for you to be oblivious to the art of using social media. Now, considering how social media has found its way into every Smartphone and laptop, it only points towards the scope and potential of this miracle medium of communication. “The impact of social media could put Cinderella’s fairy godmother to shame, and that definitely holds true for businesses which adopted social media marketing”, quips Jason Lafferty, a senior marketing professional from MyAssignmenthelp. 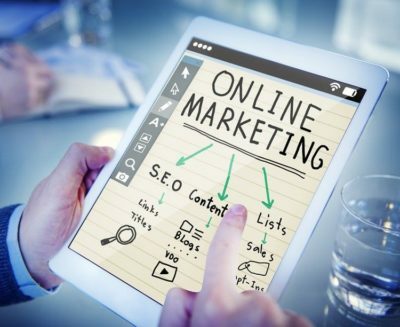 Businesses today are developing elaborate strategies involving social media to drive more traffic to their website, thereby consolidating their online presence. Crowdfire has been upgrading its set of features for quite some time. Other than scheduling the content, it also enables you to manage your Twitter account and also suggest articles for sharing on social platforms. It can easily be a one-of-its-kind tool that allows you to connect your blogs, YouTube channel, and will create social media posts for every new update you have on your websites. Tailwind is a social media marketing resource specifically intended for Instagram and Pinterest. This app is used for monitoring conversations and determining the results. Other than that, the app also allows you to schedule social media posts. It offers suggestions for boosting your performance on Instagram and Pinterest. Tailwind works like a charm for marketers willing to explore the potential of Instagram and Pinterest, as it presents an array of features that are tailor made for these visual platforms like Instagram UGC (User-generated content) management and Pinterest content promotion. As opposed to many social media tools, Later is particularly designed for Instagram (though you can also utilize it for your Pinterest, Twitter, and Facebook profiles). The USP of Later lies in its visual content calendar, where you can just drag-and-drop images to schedule your future posts. It also comes with a tool that you can use on your Instagram profile to link to a shoppable Instagram feed or various relevant websites and blog posts. Oktopost is a social media marketing platform that’s developed for B2B marketers who want to draw in more leads through social media and substantiate the business value of their social media endeavours. Right from the social media marketing, promotion and employee advocacy, Oktopost has all the resources that most B2B marketers would be intrigued to use. Edgar presents a rather unique approach to social sharing. Working with this tool requiresyou to create a library of content with different categories and dedicate time slots with a particular category (or a random one). Edgar will involuntarily fill up those time slots with the content that exists in your library. The reason why marketers often rave about Edgar is that it automates the process of social media post creation, scheduling in the most clever and effortless way possible. Rather than simply posting on your social media pages multiple times, Edgar allows you to recycle your library of content depending on the categories. It functions exactly like the moniker it’s been given. It consists of many distinctive functions all rolled into one single dashboard (like scheduling and analytics). Its client management feature is great for organizations that work with multiple clients. Social Pilot prepares and recommends the content from several industries, be it tech, education, health or fitness. That makes things easy if you are looking for the relevant content. Another remarkable feature is its white label reports, which are particularly useful for the organizations. Sendible is again a social media marketing tool developed for businesses that deal with multiple clients. Aside from the generic features that most social media tools offer, Sendible allows you to customize your dashboard depending on your branding to draw in more clients. Sendible presents some amazing integrations like the royalty-free picture search, Canva graphics editor, and YouTube search. It also offers some automation for those who don’t want to spend an endless amount of time on the repetitive tasks. The kind of social media tools you use for your marketing process will depend on the specific needs of your business. There are literally hundreds of social media tools available. Would you like to see any other addition to this list? #Letusknowinthecomments. Author Bio:Sienna Brown is a marketing professional, working for a multinational corporation in Australia. she has pursued her MBA from the Australia National University. Apart from this, she is the professional essay writer at My Assignmenthelp.com.